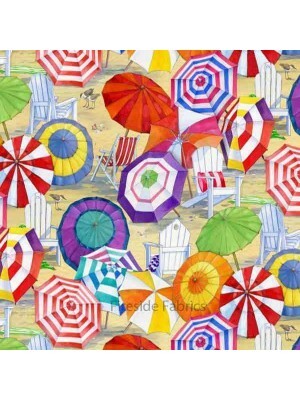 beach bags, purses, picnic mats, dresses. 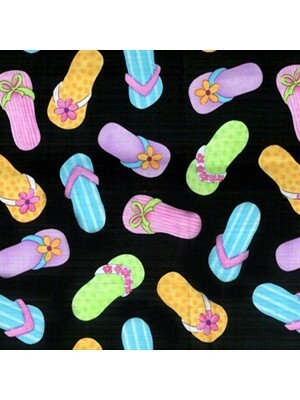 Flip flops on a black background 100% cotton If ordering a quarter metre only it will be sent to you as a fat quarter. 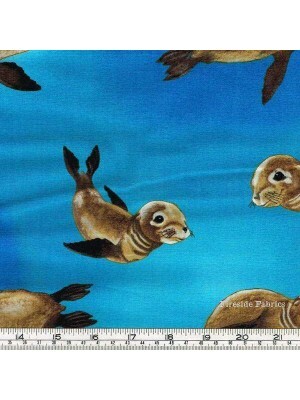 A fat quarter measures appro..
Seal pups on a sea blue background design by Mark Hordyszynski 100% cotton If ordering a quarter metre only it will be sent to you as a fat qua.. 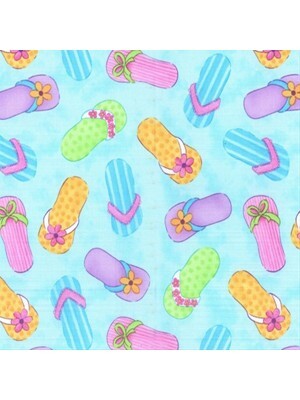 Items of beachwear, flip flops, hats, sunglasses, bags, bikini, on a blue background 100% cotton If ordering a quarter metre only it will be sent to.. 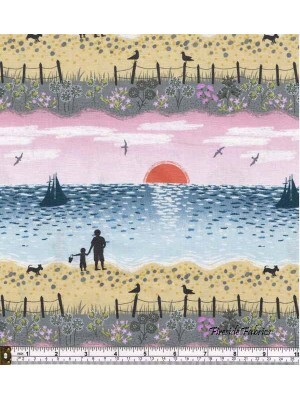 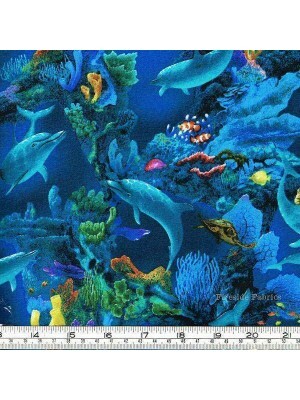 The Sunshine Panel is by Loralie Designs Each panel measures approx 44" (112cm) wide x 24" (61cm) high The panel is of bathing beauties, ice cream, ..
Dolphins swimming around the coral 100% cotton If ordering a quarter metre only it will be sent to you as a fat quarter. 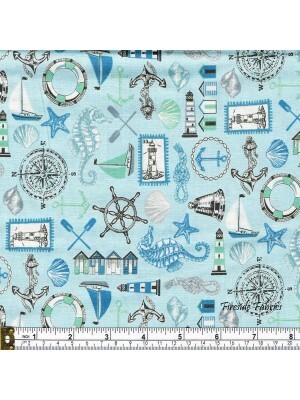 A fat quarter measures app.. 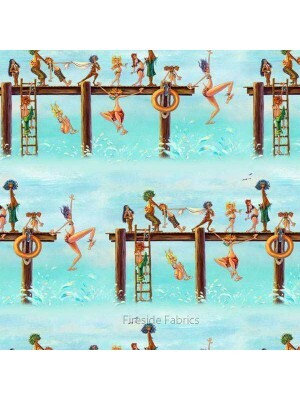 Funny people dressed in their swimwear floating around in rubber rings 100% cotton If ordering a quarter metre only it will be sent to you as a fat .. 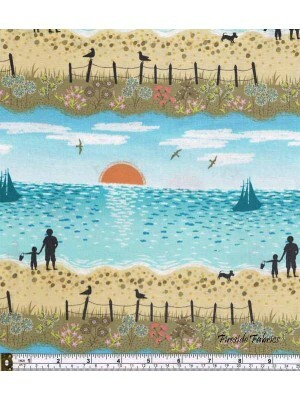 This panel is of funny people enjoying the beach and the sea. 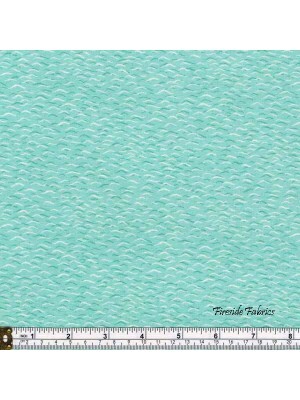 It is made up of 6 squares each approx 11" x 11" (28 x 28cm) The panel measures .. 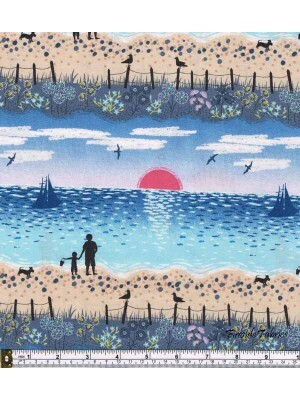 The stripe is of comical people in their beach wear playing diving and jumping off a jetty into the sea The stripe runs the length of the fabric.. 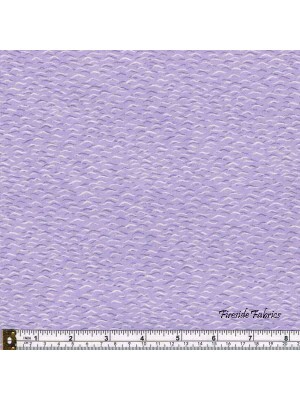 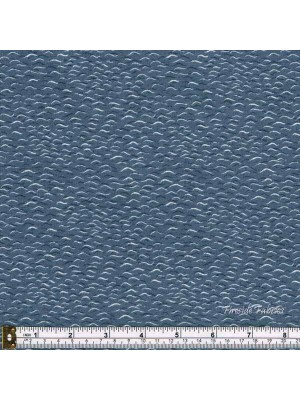 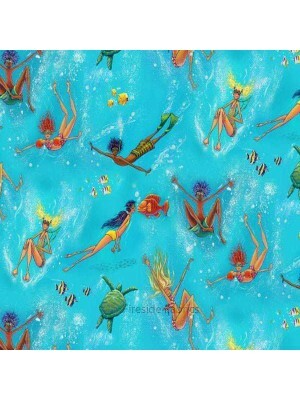 Funny people dressing in swimwear swimming around the sea 100% cotton If ordering a quarter metre only it will be sent to you as a fat quarter. 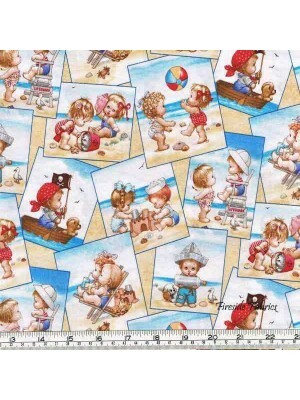 A f..
Beach kids vacation snapshots by Ami Morehead for Robert Kaufman These adorable snapshots are scattered on a sand background Ideal for qu..
All over design of brightly coloured unberella's on a beach background Ideal for quilts, wall-hangings, bags, accessories for the home, cushions, li.. 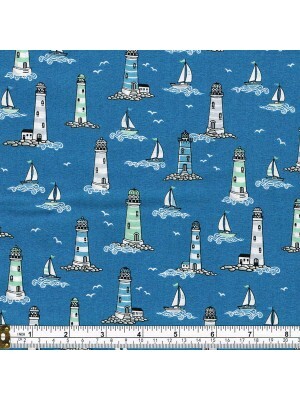 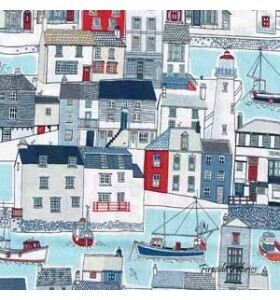 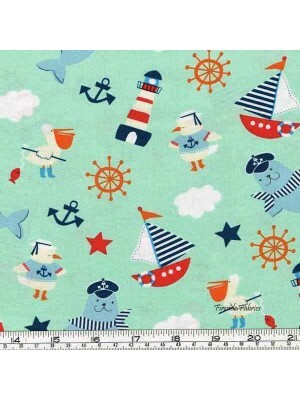 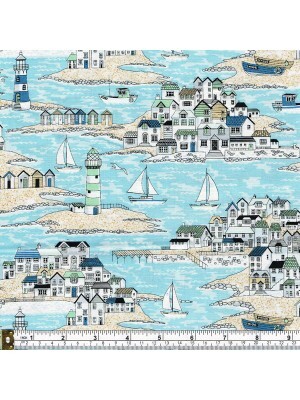 Scattered icons of anchors, boats,beach huts, seashells, rope etcon a light blue background100% cottonIf ordering a quarter metre only it will be sent..
Lighthouses on a blue backgroundThe design runs across the fabric from selvage to selvage100% cottonIf ordering a quarter metre only it will be sent t..
Coastal scenes of fishing harbour with lighthouse and houses on a beach.The design runs across the fabric from selvage to selvage100% cottonIf orderin.. 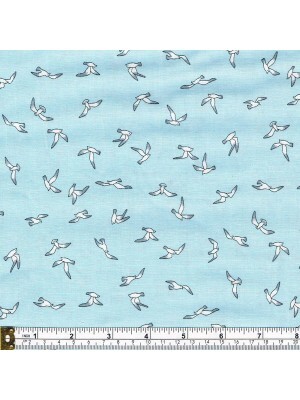 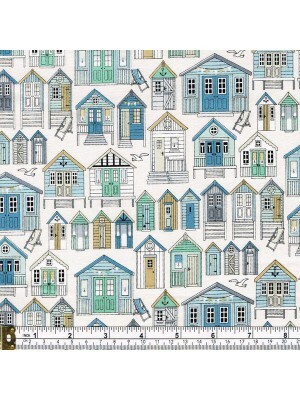 Scattered seagulls on a light blue background100% cottonIf ordering a quarter metre only it will be sent to you as a fat quarter.A fat quarter measure..
Beach huts on a white backgroundThe design runs across the fabric from selvage to selvage100% cottonIf ordering a quarter metre only it will be sent t..